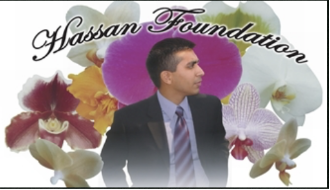 The Hassan Foundation is a qualified 501(c)(3) tax-exempt organization and donations are tax-deductible to the full extent of the law. No goods or services were provided for this gift. Please consult your tax advisor regarding specific questions about your deductions. All donations made via our Website are irrevocable charitable gifts and are not contingent on, for example, the successful completion by the Hassan Foundation of a sponsored event or activity. The Hassan Foundation maintains almost zero administrative costs and the donations provided are put to immediate and good use for the benefit of the extremely poor. The only circumstances in which refunds will be made is where unauthorized use of your payment card is proved. If you become aware of fraudulent use of your card, or if it is lost or stolen, you must notify your card provider in accordance with its reporting rules.